You can try our web-based version in the Cloud for 7 days, for free. Sign up here. With the web-based version of SpendMap, there is no need to install and maintain software on each PC workstation. Just use your web-browser to access the system from anywhere. A must if you have lots of users. 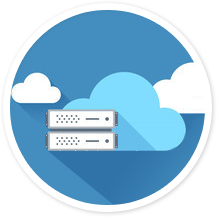 Unlike the desktop application that is designed for fast Local Area Networks (LANs), the web-based version can be used over slower Wide Area Networks or the Internet, making it ideal for companies with remote locations. Mobile users can also access the system on their SmartPhones and tablets to enter new Requisitions, approve orders, receive items, and perform many other functions while out of the office. Designed specifically for your casual or occasional users, SpendMap’s Employee Storefront brings “easy” to the next level. 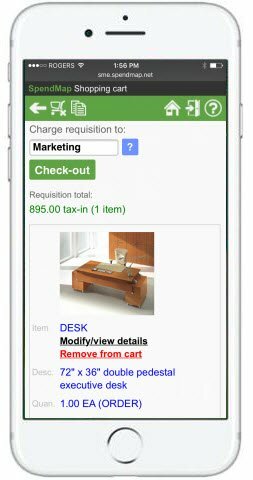 Your staff can shop for the products and services that they need using a familiar Shopping Cart, just like when shopping online at home. Managers can approve orders with the click of a mouse or a tap on their smartphones or tablets and there’s even a super-simple receiving utility for end-user receiving. If you plan to roll your Procurement System out to a large number of end-users, it doesn’t get any easier than this. Your staff will love it. 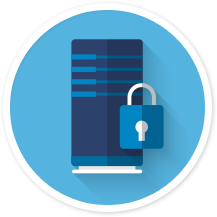 Manage user accounts, change passwords, etc. To complement the system’s detailed reporting capabilities, SpendMap’s web-based Executive Dashboard provides a graphical presentation of Key Performance Indicators (KPIs), to enable instantaneous and informed decisions to be made at a glance. The dashboard can be configured for each user (or group of users), to show only the information of interest to each person or role (e.g. the CEO may want to see different information than Department Managers, etc.). Spend in dollars, by vendor, by user, by cost center, etc. Unlike the free desktop application that only runs on Windows, the web-based version also supports Macs. It’s a seamless upgrade from the Free Version, with no loss of data. Everything will be brought forward automatically, including your master files, settings, POs and other transactions, etc. Questions? Need a demo or a quote? Just fill in this form and we will get back to you quickly. For faster service, you can also call our Sales Office.